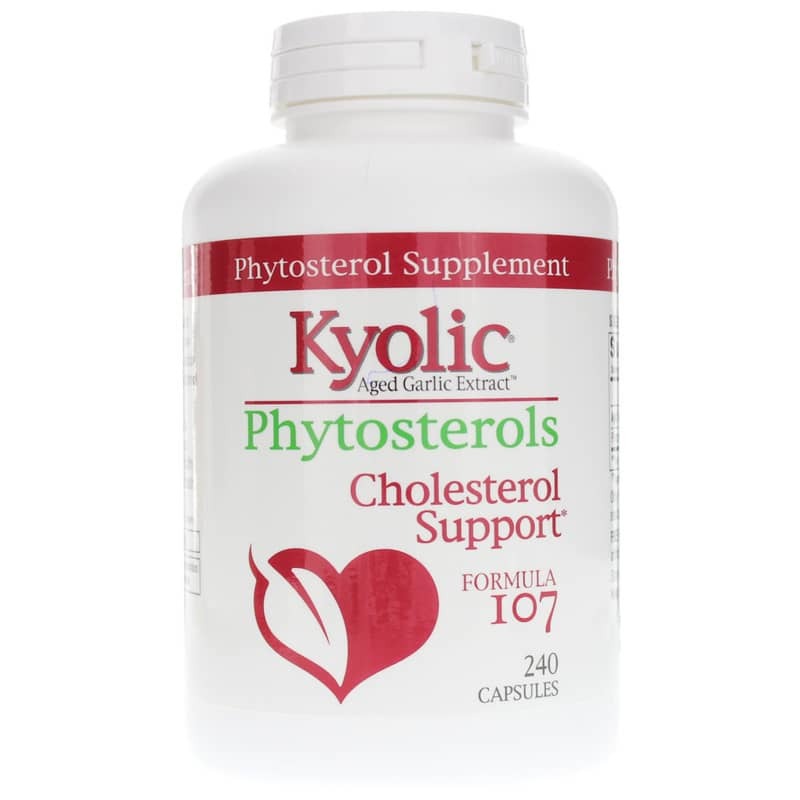 Kyolic Aged Garlic Extract with Phytosterols Formula 107 supports healthy cholesterol levels. 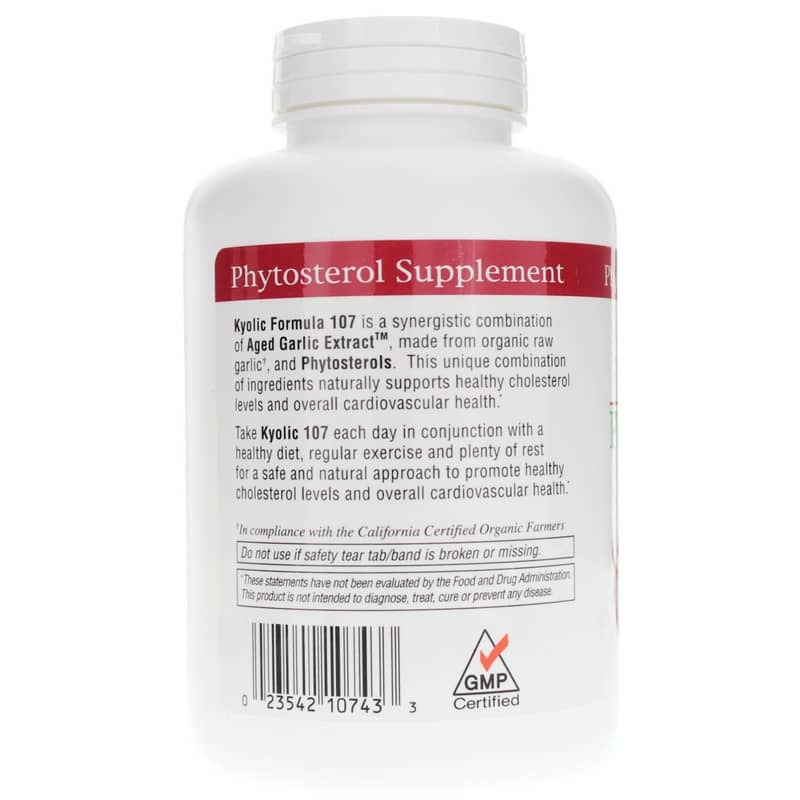 Phytosterols have been clinically proven to help reduce harmful LDL cholesterol levels, a major indicator for heart disease. 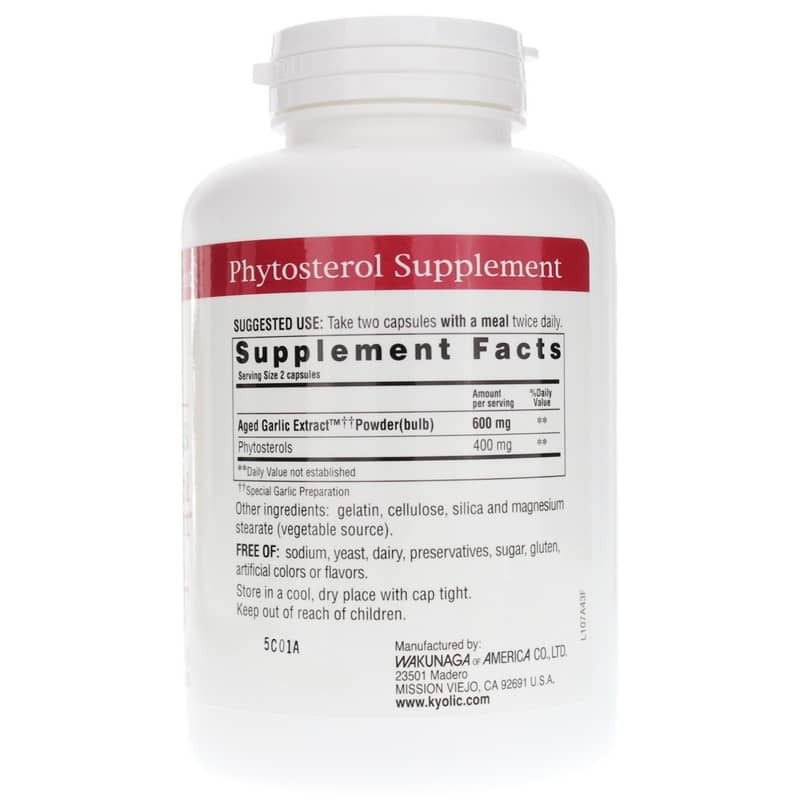 Foods containing 0.4g per serving of plant phytosterols, eaten twice a day, for a total intake of 0.8g, as part of a diet low in saturated fat and cholesterol, may support heart health.